After the usual Christmas food & drink overkill I thought I should get in a few kms and burn some of it off. Being in Busselton visiting the family it was a good chance to see some different scenery. I was lucky to have the bike back on track this weekend after the minor damage I did to it on the Tuesday SPR ride. Thanks to Eddy Holland who managed to fit in a last minute repair and service for me on Christmas Eve. Knowing the parent’s neighbour was partial to the odd pedal I invited him to join me on the morning ride. We made plans & readied bikes the night before. This was mainly to stop us from piking out overnight. Early Sunday morning the alarm went off and with much resistance I dragged myself out of bed and into my gear. Mark (the neighbour) was waiting at the end of the driveway as I came out, showing he was more keen than he felt. Both of us having had 2 solid days of food & drink – the usual Christmas fare – it was going to be a gentle ride. No overdoing it with full bellies. We headed out of town past the sports grounds and towards Nannup. Mark was going to take me on an old route he used to ride. Originally I had thought of going to Dunsborough, but due to average road and too many tourist cars about, the other side of town was a better option. 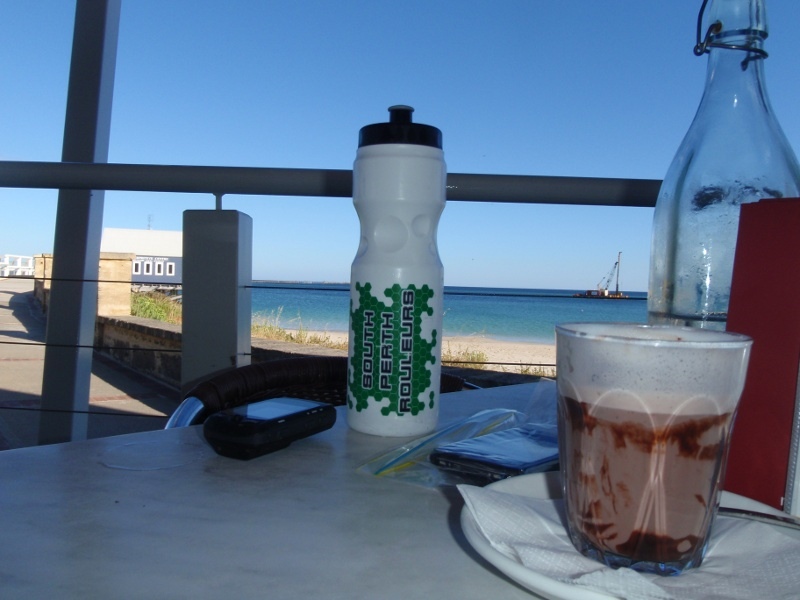 The ride out was a gentle gradient increase til the cemetary where we hit the 1st little rise of the day (Busselton is very flat being on a large coastal plateau). I powered on fairly easily while Mark was starting to feel the ‘Christmas effect’ already. Continueing out past the airport it was more of the gentle rise we had seen previously. After not long we came to the Sues road junction and turned to head back towards the coast. It was a slightly more downhill gradient from here with the only real rise being an overpass. The pace was nice and gentle, sitting just below 30km/h. Very comfortable for 2 heavy laden cyclists. This time of morning was great for a ride out in the country, the fresh smells of the bush and surrounding farms, beats sucking in petrol fumes any day. The roads out this way were in pretty good condition (better than many suburban streets) and provided a nice smooth riding surface. From the end of Sues road we turned towards Bunbury and headed north for a few kms before turning in towards Tuart Drive. 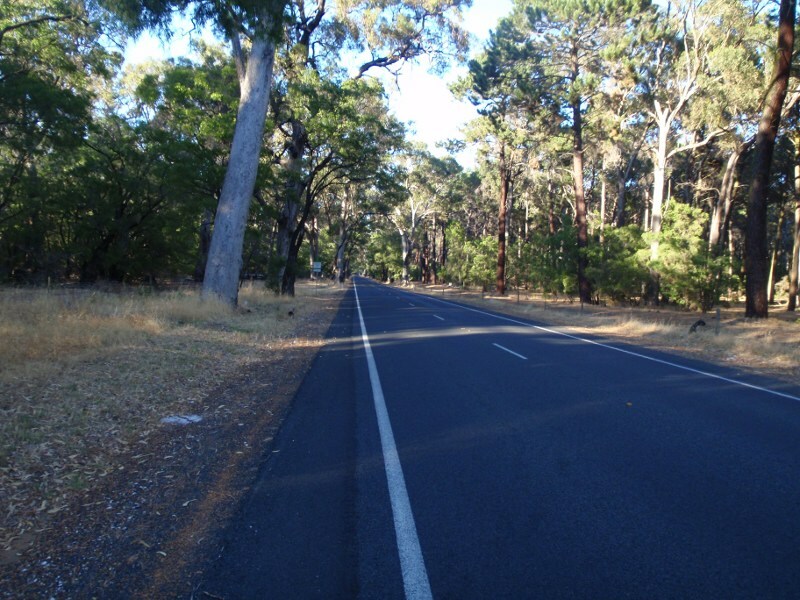 Tuart Drive forms a large part of the cycle leg for the local Ironman competitions. This was a nice section to ride with the morning sun coming through the tops of the Tuart trees and a cool breeze keeping the sweat away. As we were returning down this stretch of road we started to see a few other cyclists heading out for their morning rides, many looked to be Tri guys getting in some course time and Christmas training.Trffic was also starting to pick up a bit too as tourist flood to the area, a popular place to be at this time of year with many places fully booked. At the roundabout we turned right and headed through Wonnerup and the estuary. We started to get a bit of a light headwind along here as we got closer to the beach. I got into a nice rhythm along here and Mark jumped on my wheel to have a bit of a rest. We headed on back to town skipping around Geographe Bay marina and along the foreshore to the Jetty. By the time we got there The Goose was open and ready for us to relax and enjoy a coffee overlooking the bay and Jetty(which is currently under repairs). It was a nice way to wind down after the morning ride before heading home to relax and enjoy some holidays. This entry was posted on 27 December, 2009 by Fairy. 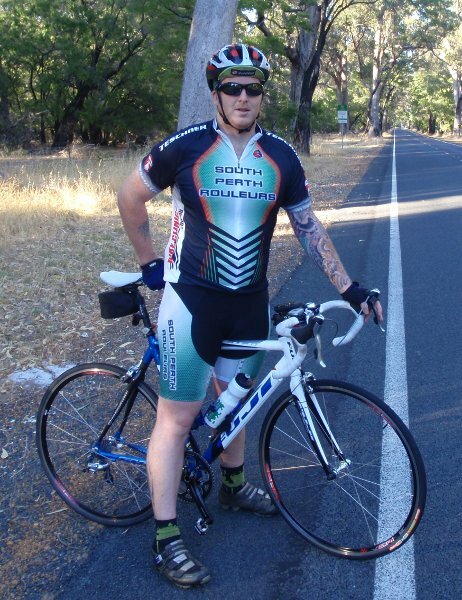 It was filed under Road Cycling and was tagged with beach, Busselton, Christmas, Cycling, early, headwind, southwest.